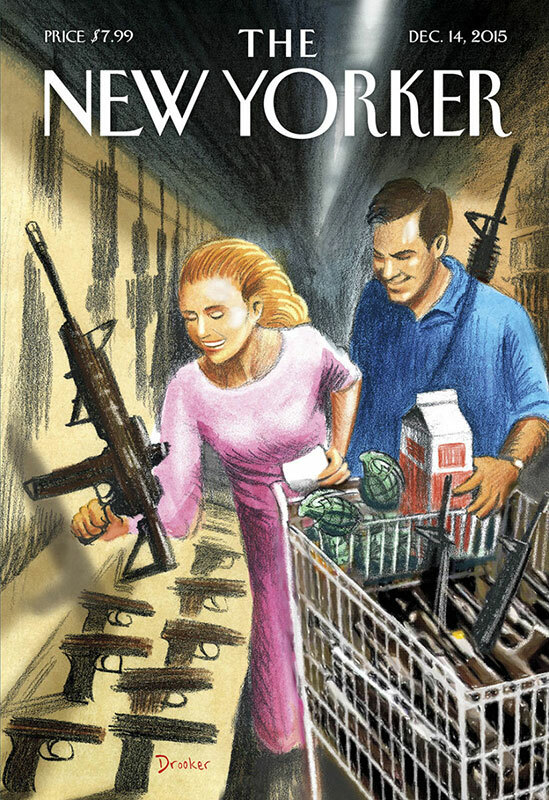 The cover story for the Dec. 14 of the New Yorker issue is entitled,” Shopping Days,” in which writer Eric Drooker asks: “What would it look like if I took America’s obsession with firearms to its logical extreme?” The source of this picture goes on to talk about “the too-easy access to military-grade weapons” right on cue. Meh… well at least he put the iron sights, EOtech, and the Magpul AFG facing the correct direction. 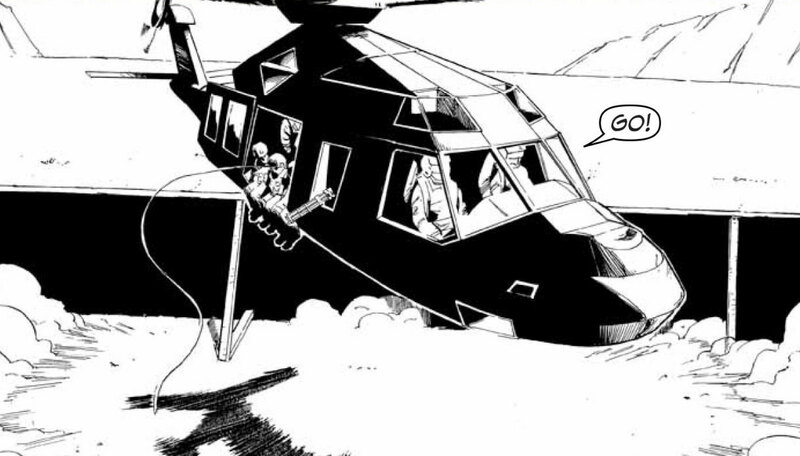 That magazine is looking awfully straight and QUITE assaulty. New neva-bin-done-befo 45 round straight magazine maybe? The grenades *eye roll* were a nice touch too.. oh and the milk. I searched google images to see if the rest of Eric Drooker’s art is as mediocre. Thankfully it’s not.